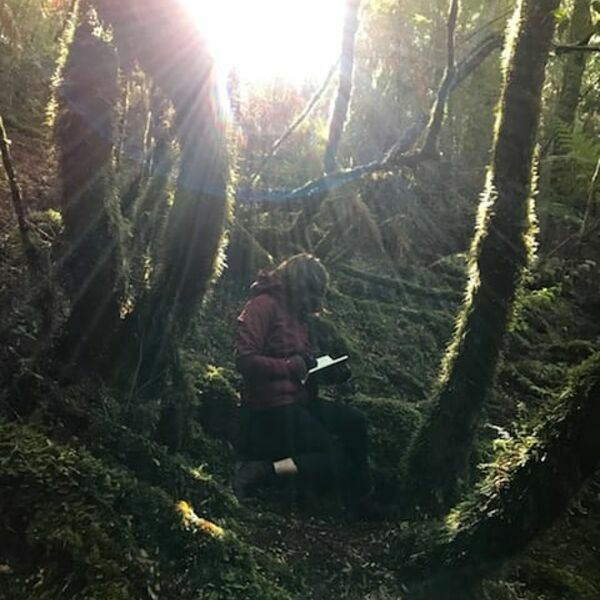 In this episode, Jessica Shepherd takes you through the forests and the heathland of the Tarkine in Tasmania without commentary. Jess flew out to Tasmania on the 1st November 2018 from Melbourne by a little propeller plane in search for the elusive blue Sun Orchid. A severe weather warning had just been issued and the trip was almost cancelled. However Jess made the decision to travel regardless, as for her, the challenging weather was part of the tale and journey. Sun orchids only open in the sunshine, so locating an open orchid in the storm was certainly difficult. Nevertheless, she found one, like a needle in a haystack. The birdsong in this recording is mostly from the ancient forests of the Tarkine, a magical place which is due to be logged very soon. Jess was invited to stay in one of the campsites in the wood as an artist to study the environment before it's disappearance. The experience of immersing herself in this fragile and vulnerable landscape with it's dark history and uncertain future was invaluable. The results of this reflective time will be seen as she works on a collection of new paintings that she hopes to exhibit in Australia in late 2019.